It has been one CRAZY week. In fact, the last two weeks have been beyond busy. I guess it must be the holidays, right? I had a big magazine deadline at work and spent all of my free time shopping to spend the $2,200 my coworkers donated so that we could sponsor two families from Children's Hospital for Christmas. Let me tell you, with my bargain ways and the low prices on kid stuff (most of it), it was really tough to spend that much! I know that's a good problem to have, but it took me a long time to hunt down entire Christmases for 8 people. In the end, I had a gigantic pile of awesome gifts to drop off for the families, so we were all feeling pretty warm and fuzzy about that. 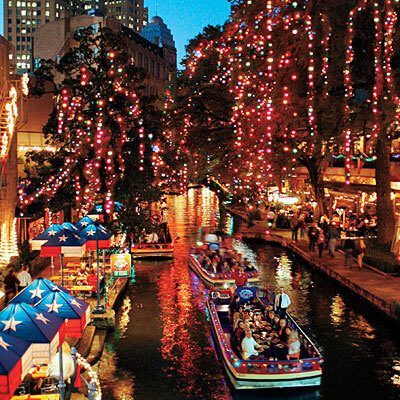 Anyway, we're off to San Antonio tonight to experience the Riverwalk at Christmas! It's going to be so fun. We're meeting up with some great friends of ours that moved away this past summer for a little grown-up vacation. They're leaving their kids with grandma and we're leaving our kids dogs with the grandparents, too. We're going to watch the NCAA volleyball championship match! I don't know if you know this about me, but I played college volleyball and am a coach in my free time. The two friends we are meeting up with are also former college volleyball players, so we are excited about the game. We'll be leaving the husbands at the hotel, since they would totally cramp our style. I'm really looking forward to next week, when I think everything is going to calm down a little bit. We have almost all of our Christmas shopping done and I'll be in the lull between work deadlines. The hubs actually has a bit of vacation from work altogether (the perks of being a teacher). Meanwhile, I wanted to share some deals I've spotted on the web this week. I've done tons of Christmas shopping online this year, and it's the best! If you can get free shipping, why not? • First of all, I found a coupon app that has been coming in handy lately. It's called "The Coupons App" and it is free! I downloaded it to my iPhone and have been using the coupons ever since. They can scan them directly from your phone at checkout! Not only does it list the latest coupon codes and deals for stores, but it also tells you where to find the cheapest gas in your area. I knew I was going to be buying a lot of clothes for this charity donation project, so I went to Old Navy and used the coupons from this app, include $10 off a $50 purchase, to stretch the donations even further. You can search the coupons by store. It's pretty great! • Anthropologie is having an additional 30% off sale items. They don't have a lot of sales, so I'm always excited when a discount pops up. • 30% off your entire purchase in stores and online at J Crew with the code CHEER. • Another thing I just discovered... You can sign up for text coupons from Target. Just this week I wanted a $10 Merona cardigan from Target, and I had a text coupon for $3 off anything from Merona. Nice! • Free shipping at Pottery Barn & affiliates with FREESHIP. Looks like it expires tonight! Use WITHLOVE for West Elm. • 50% off everything at NY&Co. 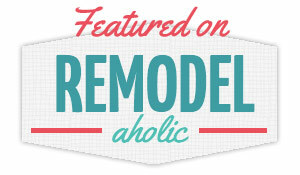 No code necessary! • 40% off your entire order at Lands End. I bought some monogrammed fleece blankets from their as Christmas gifts this year and was very pleased. Plus they have a new Lands End Canvas line that is "younger" and has a modern spin on their normal stuff.